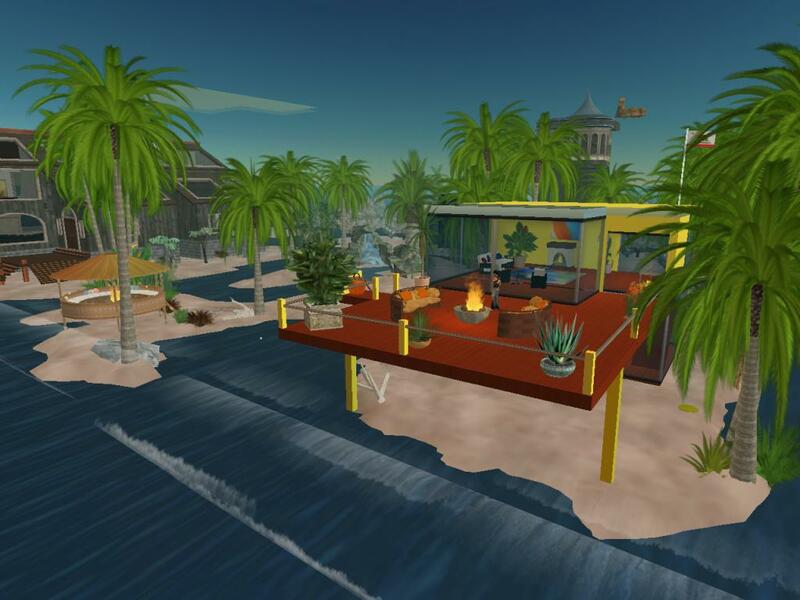 In case you haven’t heard, Second Life is an online virtual world populated by millions of people across the globe. In the Second Life world you can be almost anyone you want to be, do almost anything you want to do, and have almost anything you want to have. Check out yesterday’s article to get a more in depth description of living in Second Life in general. Today I’m writing about My Second Life. When I discovered Second Life I was going through one of the most difficult times of my life. I was acting in ways that I would deem crazy and had no idea I had bipolar disorder. I was having frequent seizures and I was suffering with severe vertigo at the time. Sometimes the vertigo would spin so violently that I would hold on to my bed as tight as possible to prevent me from flying off and smashing against the spinning walls. With the confusion I was experiencing, the seizures, and the vertigo, I became agoraphobic. There were rare occasions, when Maurice would convince me to go somewhere with him, like a supermarket. I could sometimes deal with it for a short minute, but it always ended the same – I would bolt out of the store hyperventilating and my heart beating like it was going to explode out of my chest. My apartment became my world. It was a very small and lonely place. I had read some articles about Second Life and found the idea ridiculous, yet, intriguing. Eventually I broke down, logged on and was hooked. Joining Second Life is free and there are plenty of free things to have and free things to do. You really don’t have to spend money, but, for me, that became boring quickly. My avatar, the animated character that represented me, was one of the ugly ones you get for free when joining. I wanted to look more human, more handsome, have great hair, great clothes, etc. All that costs money, and with me on disability I could not afford to go on shopping sprees for virtual people. Not having the cash, I was forced to get a job. Yes, in Second Life, there are virtual jobs to earn virtual money to buy virtual items. 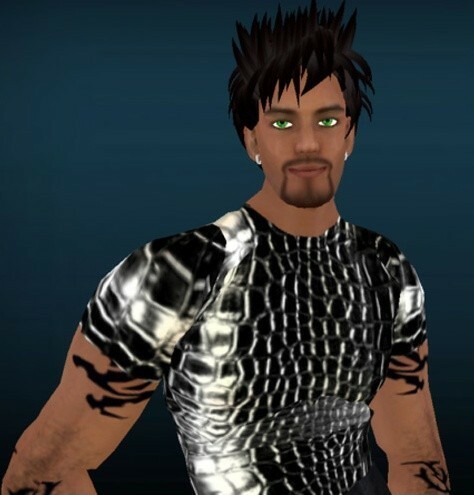 My first job in Second Life was as a go-go boy. In my first life I couldn’t leave my house, but in my Second Life I could spin around on a dance pole, strip naked, and talk dirty and laugh with customers. The tips I earned were great and allowed me to upgrade my look to the one you see at the top of this post. Second Life Bradley had expensive taste, so clothing shopping trips were frequent and fun. still earned most of my money via tips, but was also paid a small salary from the club owner. 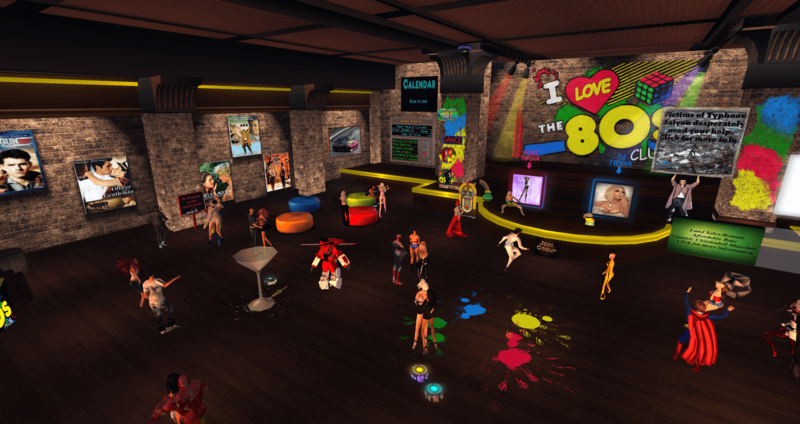 Many find dance clubs in Second Life curious. To dance, a person clicks on a button, lets go of the controls and allows their avatar to dance the night away. How could that be fun? The reality is that dance clubs are glorified chat rooms. Instead of looking at an ugly chat window, you get to converse while watching beautiful avatars dance around. My job, as the club promoter, was to keep the conversation fun, and interesting. Doing so meant people stayed longer which meant more tip money in my pocket. During the time that I was working these jobs I was also learning to build things. I wanted to open my own store. Eventually I earned enough money and developed my skills and opened my own virtual retail store. The name was “Bradley’s Bamboo Bungalow.” I taught myself how to make outdoor chairs, lounges, beds, homes, hammocks, tables etc. My store did well and allowed me to own a beautiful, virtual, oceanfront home. I bought some virtual land and created everything else myself. I built the house, the furniture, the gazebo, and the fire pit. About the only thing I didn’t create were the trees and plants. Those I bought from a virtual nursery. During my off time, I spent a lot of time on Support For Healing island. Created by a UK non-profit, the island offered lovely virtual mountain views, gardens and rivers to relax by. Throughout the week there were peer led groups for anxiety, depression, grief and more. It became my primary means of mental and spiritual support. Sadly, the island shut down not long ago. Owning an island in Second Life is expensive. I’m happy to say that a new group has re-opened the island and is in the early stages of organizing support groups. Currently the new island is just a big volcano and a small seating area, but I presume they plan more work ahead. Looking back it was a risky venture. I’ve seen Second Life open up and consume individuals. Given my mental state that could have easily been me. No. That should have been me. A world where I lived life to the fullest; I was popular; I set goals and followed through on them; I was charismatic, I was funny, and a bit mischievous. All the things I didn’t think I was or could be. Why in the hell would I ever want to leave? I did become absorbed by it for a while, but I was able to pull away when the time was right. Rather than hold me back, like I would expect, it helped get my real world self back into the real world. I suspect that the kindness and support I received from Support for Healing had a lot to do with it as well. If you’re going through a difficult time and need to reach out to someone, I will put myself on the line and suggest you give Second Life a try. However, if you have a therapist I highly recommend you let them know what you are doing and give them regularly updates. Second Life is a wondrous place with amazing things to see and do, but you must remain vigilant of the fact that it’s easy to lose yourself there. Enjoy yourself to the fullest if you chose to go to Second Life, just be sure to remain grounded in your first life as well. I hope you find Your Second Life as rewarding as My Second Life. Bradley, it’s marvelous you gained such benefits from Second Life. One never knows where help or comfort will come from in this world. Sometimes you just have to pretend to be the person you want to be. As skeptical as I was over such a silly “game,” Second Life was the last place I ever expected to give me the serenity I needed. It truly was a blessing in disguise.